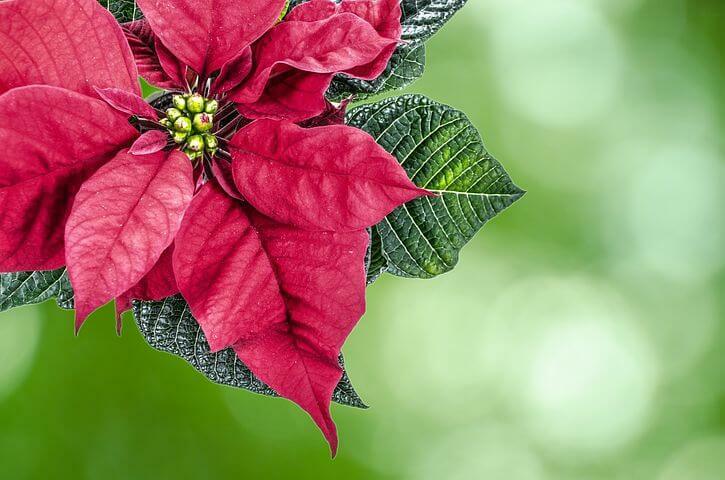 Poinsettias: When selecting your poinsettia, check the small yellow-green flowers at the branch ends. If more than a couple are open, the plant has already peaked. You also want to pick one with green, healthy leaves all the way through, even down near the soil. Poinsettias do best with weekly watering. While you don’t want to allow the plant to wilt, overwatering will risk root rot. When the soil is dry to the touch, water them thoroughly and allow them to drain. Place them in an area with bright, indirect sunlight. Avoid spots near vents or fans that may dry the plants out quickly. Amaryllis: Amaryllis grow from bulbs. Large, solid bulbs will produce the most impressive blooms. Plant in a pot that’s one to two inches wider than the bulb’s diameter and allow drainage. Foliage will soon sprout, followed by the bloom stalk and flowers. Water thoroughly so that soil remains moist. Place in bright area with strong light like a sunny window. Avoid areas with drafts, to prevent the plant from drying out. Once blooms face, cut the bloom stalk at the soil and keep in a sunny window until May, when it can be planted outdoors until September. In September, dig the bulb up and remove all foliage. Keep the bulb dry until November, when you can repot in hopes of new blooms for Christmas again! Paperwhites: Fill a shallow container with gravel and add enough water to just cover the stones. Set bulbs atop the gravel, pointy side up, adding a few more stones to support the bulbs. Alternatively, you can plant them in well-drained potting mix and cover them with soil, allowing the tips to break the surface. As roots develop, store bulbs in a cool location (50 – 60 degrees). Keep in a sunny window once leaves appear. Maintain the water level as bulbs can quickly dry out. Support the flowers with bamboo stakes and twine to keep stems from collapsing. Once you’ve enjoyed the fragrant blooms, add them to your compost, as they won’t rebloom indoors. Whether you simply enjoy collecting festive plants to add some holiday flare indoors, or you seem to attract them as gifts, you’re now well equipped to help them thrive. Maybe you’ll even get an additional year out of your amaryllis and be able to enjoy it in your Atlanta landscape once the weather warms up!